I first met Peter Molin when he was still active-duty and teaching literature at the United States Military Academy at West Point. I’m not sure who introduced me to Molin (perhaps it was Brian Turner or maybe Siobhan Fallon? ), but it became immediately clear to me that he was a fierce advocate for contemporary war literature, and especially of poetry, fiction, and creative nonfiction written by veterans and military spouses. 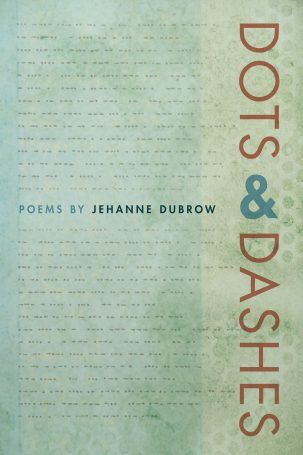 Jehanne Dubrow’s poems are always wonderfully realized, rich and complete in sense and spirit, each word and image precisely fitted and instantly accessible while also evoking subtler or higher orders of meaning, the formal artistry as refined as the language is relaxed in syntax and diction. Wow! You can read the whole review here.